Guaranteed it will be the BIGGEST hit of the party! This gorgeous GIGANTIC purple paradise with its palm trees will have your guests’ jaws drop. 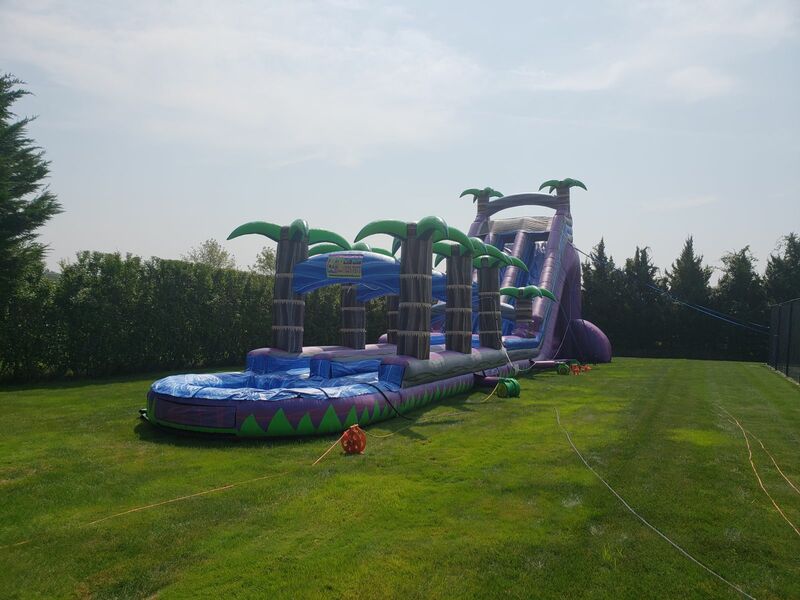 With the Purple Paradise DOUBLE LANE Water Slide WITH POOL on your property you can expect a lot of positive attention. 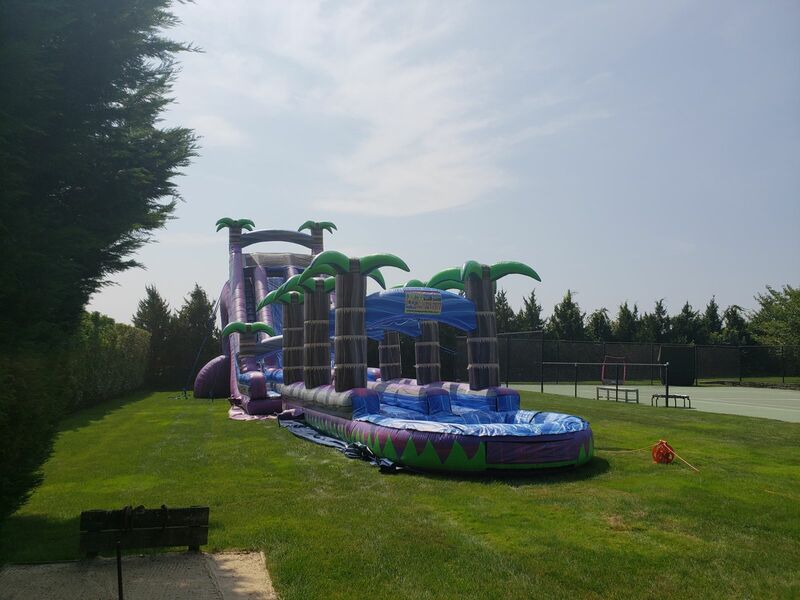 This will be the talk of the Hamptons waterslides. Thats If you are lucky enough to reserve this. Your guests will feel like they are at an island paradise! Upon reaching the top you will feel like you’re on a mountain top until you make your way down the long slippery slide and splash into the attached pool. This water slide is great for all ages and will bring fun for the entire family! Do you, your child, or family member have a summer birthday party coming up? Will there be an upcoming graduation party, family reunion, outdoor barbeque, or have your children behaved well all year and you want to reward them with something fun? Jump And Slide Paradise Water Slide is your answer! Don’t settle for ordinary when you can have extraordinary! 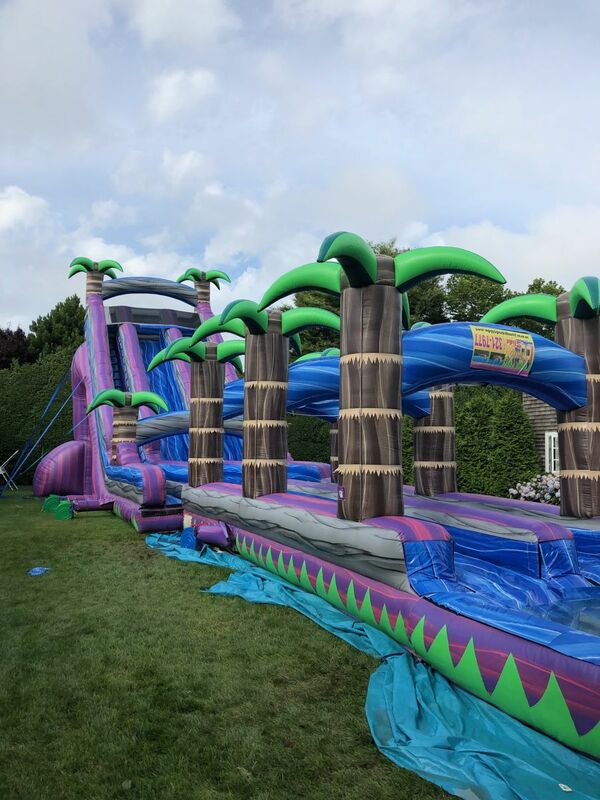 Purple Paradise, let us bring paradise to you without our Paradise Water Slide! There are no age limits, so adults can enjoy some fun too!